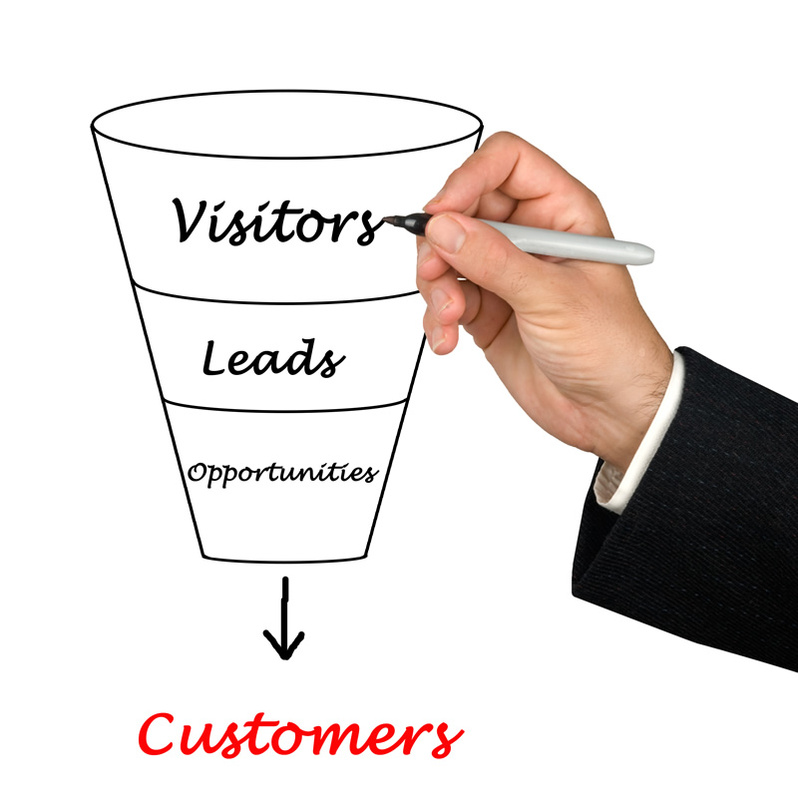 Is Your Marketing Funnel Getting the Job Done? A well-structured marketing funnel should guide your potential customers through each step in the marketing process, from the introduction to a final purchase. Is your current marketing funnel working in this manner? Or is it causing the loss, rather than the accumulation, of new customers? Here are some tips for making sure your marketing funnel is getting the job done…. Focusing in your initial driving sales message is important. But it can’t be your sole focus. Rather, your marketing content should be staged into various messages that drive potential customers through the sales process. Your initial content should provide strong content that hooks in your target market. Follow up content should reiterate that initial message and build upon it. Staged marketing content helps to ensure that potential customers learn new and important information about your business with each interaction. It’s also an effective tactic in leading prospects down your marketing funnel towards a purchase. Where do you want your prospects to go and what action do you want them to take when they arrive? These are important questions to answer because they will help determine which tactics you should implement to drive traffic toward that final destination. If the goal of your marketing messages is to drive traffic to your ecommerce site to make a purchase, determine how you can effectively drive prospects to that space. For example, a blended series of marketing messages placed strategically on your website can create a cohesive marketing funnel that tells prospects why they should care about your business and what they should do about it. Start by determining the goal of your marketing efforts and then implement the tactics that will help you achieve that goal. Where is the bulk of your marketing budget being spent? Most business owners still voice print advertising as the answer to that question. While print advertising is still a relevant and important marketing tactic, it shouldn’t be your main focus. Rather, invest more in digital to hone your marketing funnel. Digital marketing is, in many ways, still an untapped market for advertisers. While it requires a different form of marketing speak that traditional print advertising, it can pay off in big ways with minimal costs. The biggest mistake many of today’s business owners make is utilizing old school methods of broadcasting marketing messages to their target market. Consumers no longer react to such worn out tactics. Rather, find ways to engage with your market. This includes tactics like conversing with prospects through the use of social listening, implementing text messaging marketing tactics and implementing a responsive customer service platform. According to the article, “7 things you need to fix in your marketing funnel,” one of the biggest mistakes often made by marketers is ignoring the chance to have meaningful interactions with prospects. Implementing strong marketing messages on your website and through advertising is a good start. The next step is to maintain contact with prospects through the sales process and after the purchase. Customers want to know that you care about their needs, and the best way to showcase how much you care is by maintaining contact with them. The best way to lead prospects down your marketing funnel is to create brand advocates that will do the work for you. Creating loyal brand advocates is hard work, but it can pay off in a big way. It starts with fostering authentic interactions with your customers, caring about their needs, delivering quality products and services, admitting and correcting mistakes and more. Is your marketing funnel offering the results that you desire? From engaging with your target market to staging your content for each step in the sales process, refine your marketing funnel now to enjoy the future payoff of higher sales.